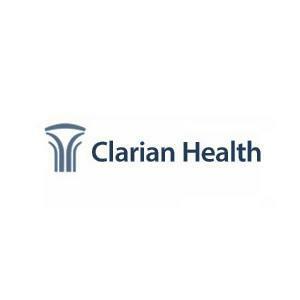 Clarian Health was formed when Methodist, Indiana University and Riley Hospitals united - hospitals that are considered by many to be the premier health care facilities in the Midwest. Key staffing and recruitment executives realized, with the healthcare industry becoming one of the fastest-growing segments in the economy, there was a looming talent crisis. Partnering with Paradigm Learning, Clarian Health created an interactive, engaging way to teach managers about their key roles in the quest to develop the best talent. With a phenomenal growth in the industry, Clarian realized the need to attract and retain qualified health care workers was paramount to their success. The leadership team wanted to focus on connecting and meeting the needs of their multi-generational workforce to increase retention. They knew their managers were key to these retention efforts, as responsibility could not be placed solely on HR or the recruiting staff. Clarian turned to Paradigm Learning’s talent leadership discovery learning program, Mosaic: The Art of Talent Leadership®. Working in small teams, participants were guided through a realistic case study that helped develop insights regarding talent acquisition and retention issues. Participants navigate a process of discovery, engaged in problem solving, discussion and outside-the-box thinking. Mosaic’s nontraditional interactive program meshed perfectly with Clarian’s hands-on approach to training. “Components of role-playing and discovery learning are part of our current training initiatives, so Mosaic® fit very nicely into our training curriculum.” - Recruiting and Staffing Manager. As a result of going through Mosaic, managers and leaders have come away with critical thinking skills and insights that will enable them to understand workforce drivers and embrace their talent development roles. Clarian Health is thrilled with the results of Mosaic and their partnership with Paradigm Learning. They plan to continue taking proactive steps to ensure they have the best possible workforce to maintain their superior quality of care and cutting-edge treatments. Clarian first implemented Mosaic with their midlevel and director-level management, and hopes the program will continue to be effective for other levels of leadership in addition to their HR staff.